I’ll be forever grateful to the ladies comprising the very first book club who read BANANA BAMBOOZLE. Insightful discussion, kind comments, enthusiasm … everything an author might want! I won the coveted Most Messed Up trophy. Very proud day, indeed. Look how cute they are! I think everyone was sitting because that was AFTER we bamboozled. 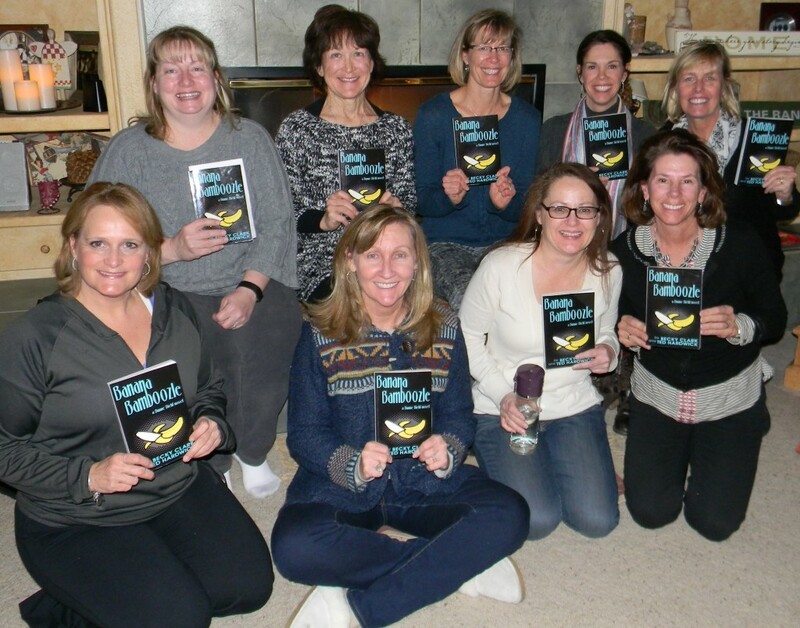 Here’s hoping your book club is equally fantabulous! This entry was posted in Writing, Reading and Publishing and tagged Banana Bamboozle, Becky Clark, book club, book club discussion, Ted Hardwick on June 6, 2014 by Becky.